Working on the plant collection. The extraordinarily phallic cactus in the first photo is a moon cactus. 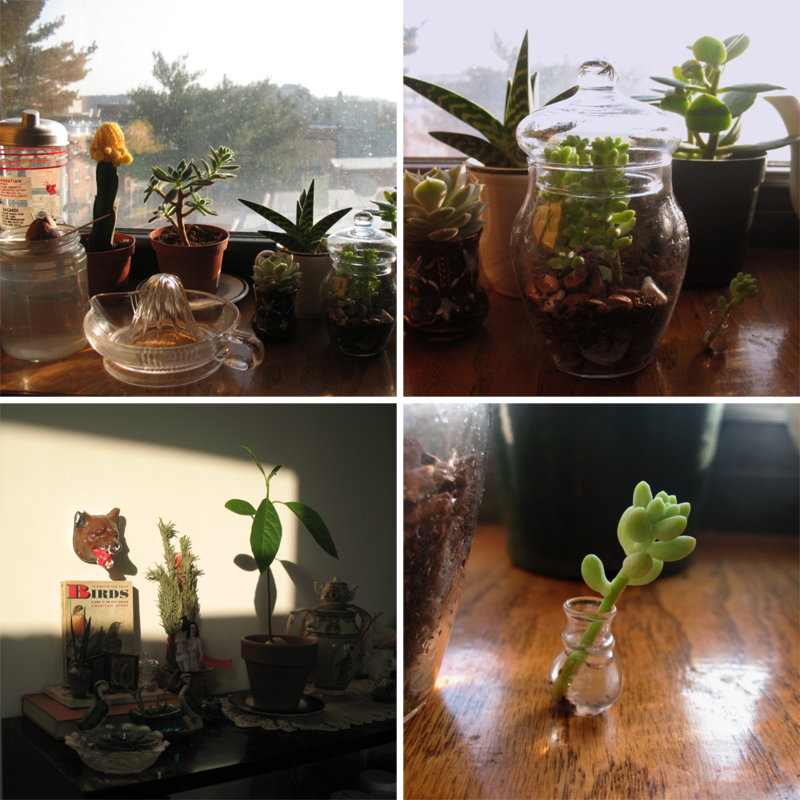 The little succulent in the last photo is only about an inch tall (he broke off when I was repotting the rest of the plant).